Picture this: It’s a rainy, muggy night. Neither you nor your significant other feels like cooking, so you begin the time-honored tradition of debating where to pick up dinner. After some back-and-forth, you agree on driving across town to your favorite restaurant. It’s not the most convenient restaurant to reach in the rain – it’s not even the cheapest – but you’re still willing to go out of your way to eat there. Why? Because that restaurant has done something to transform you from a garden variety consumer to a loyal, churn-resistant customer. And that makes them brilliant because customer retention is a gold-mine of low-effort profitability. You’ve probably already heard repeat customers are five times cheaper to keep than it is to acquire a single new one, but here’s something you might not know. On average, repeat customers are responsible for 40% of a business’s revenue (source). Boosting your retention rate by a mere 5% can increase your profits anywhere from 25% to a whopping 95%. So, if you’re not making efforts to keep your customers, you’re missing out on some serious opportunity. But just in case you need more convincing, consider these following two stories. With the help of Cognizant, a consultancy and professional services powerhouse, one insurance company netted a 180% ROI by deploying targeted customer retention programs. 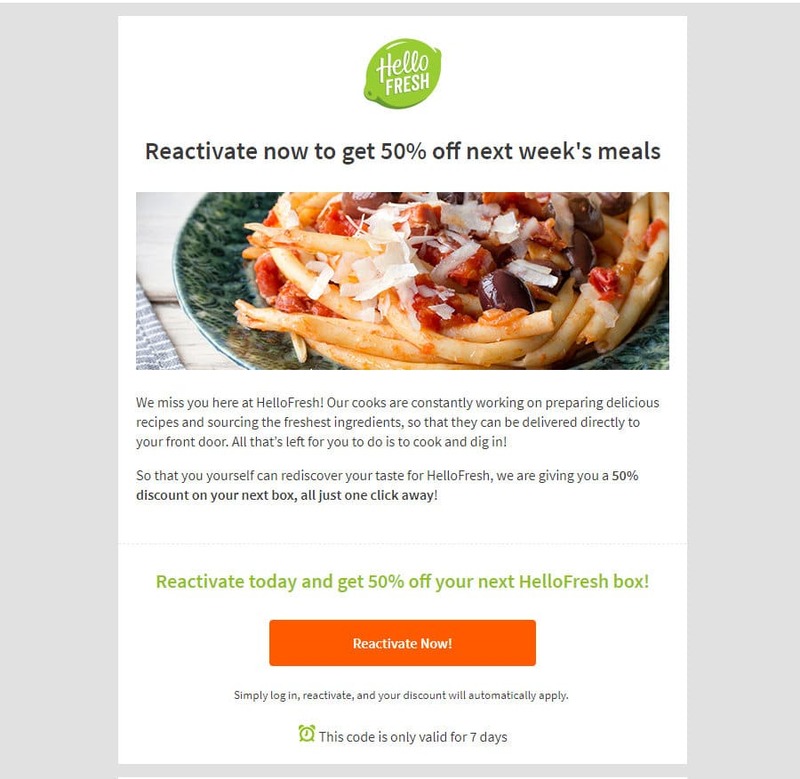 This one is even more staggering: Menchie’s Frozen Yogurt saw a 5300% ROI through a customer retention campaign. How do you replicate their success? While every consumer base is different, I’ll show you five proven ways to boost your customer retention rate in this guide. First up, you need a rockstar-ready return policy. 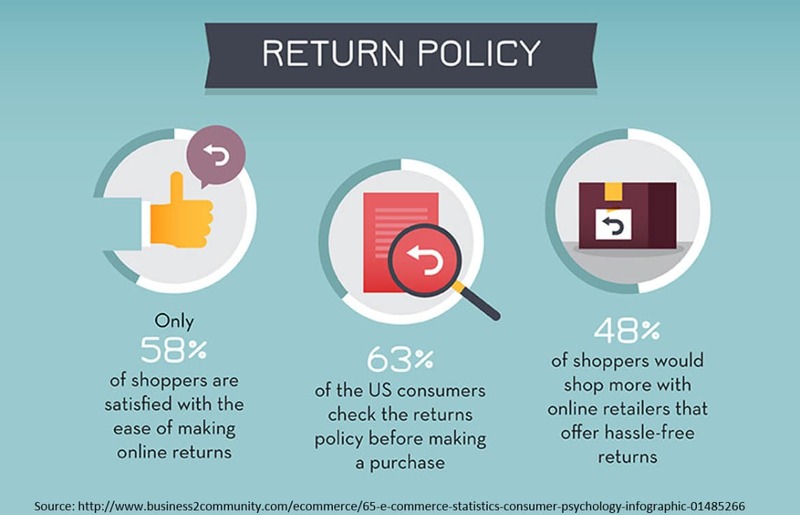 63% of shoppers online will check out your return policy before they ever make a purchase. But a great return policy isn’t just necessary to acquire customers. It’s also crucial for keeping them coming back for more. According to a study from CommerceHub, 48% of those same shoppers say they would buy more online if the retailer offered easy returns. A friendly return policy means happier customers. It also means better sales and lower churn rate. 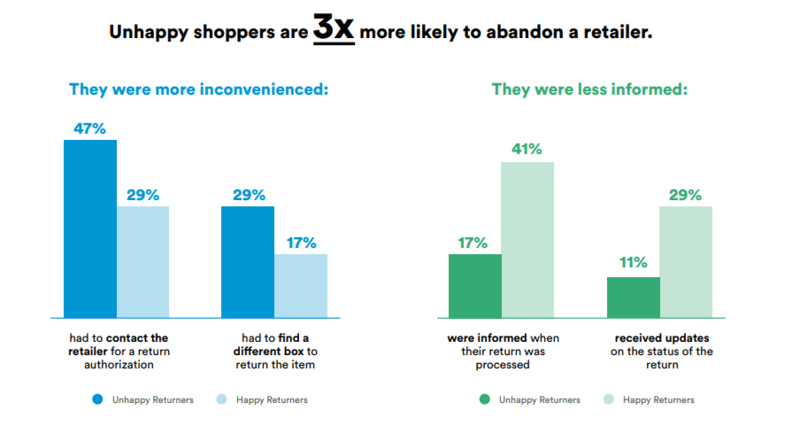 Studies find stores with unyielding return policies have an almost 9% reduction in net sales, and their shoppers are three times more likely to churn. But it isn’t just good for improving customer satisfaction. An awesome return policy and hassle-free process contribute to your overall customer experience and retention. This effortless return experience is key to maintaining customer loyalty and repeat customer purchases. Since the most important factor for building customer loyalty is to reduce customer effort, James hit it on the nose. So, how do you create a great return policy? First, let’s look at some examples of customer-beloved policies and see how the big dogs are doing it. This beauty powerhouse sticks by their word, too: if a customer orders a foundation that isn’t right for them, the return process is easy and straightforward. Offering consumers multiple avenues of return, the brilliance of Ulta’s return policy isn’t just how generous and flexible it is. Organized with clear visual hierarchy and written at a user-friendly “Grade 9” level, it’s no wonder that Ulta’s return policy frequently makes the rounds as one of the best in the beauty industry, current controversy notwithstanding. Let’s look at another list-topper. Concise and no-fuss, Lands’ End is another retailer whose return policy frequently nets some serious accolades. 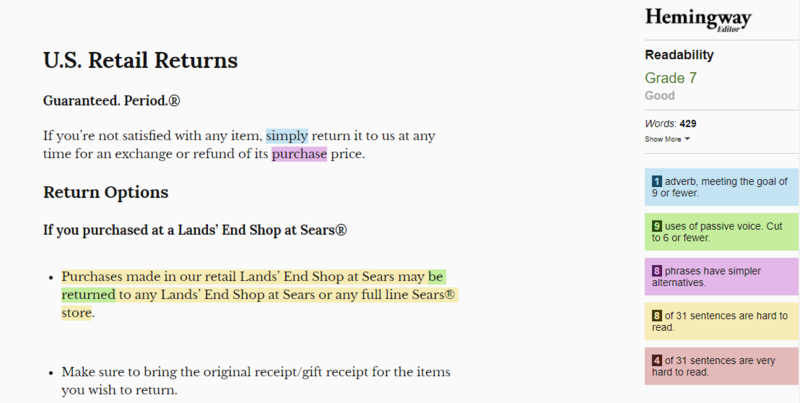 Like Ulta, Lands’ End gives consumers multiple routes of return and presents their policies in an easy-to-read format. But they take readable to a whole new level. Check this out. Short, scan-friendly, and written for ultra-readability, Lands’ End is the return policy consumers want and deserve. If you’re a SaaS, the same thing should apply to your refund policy. 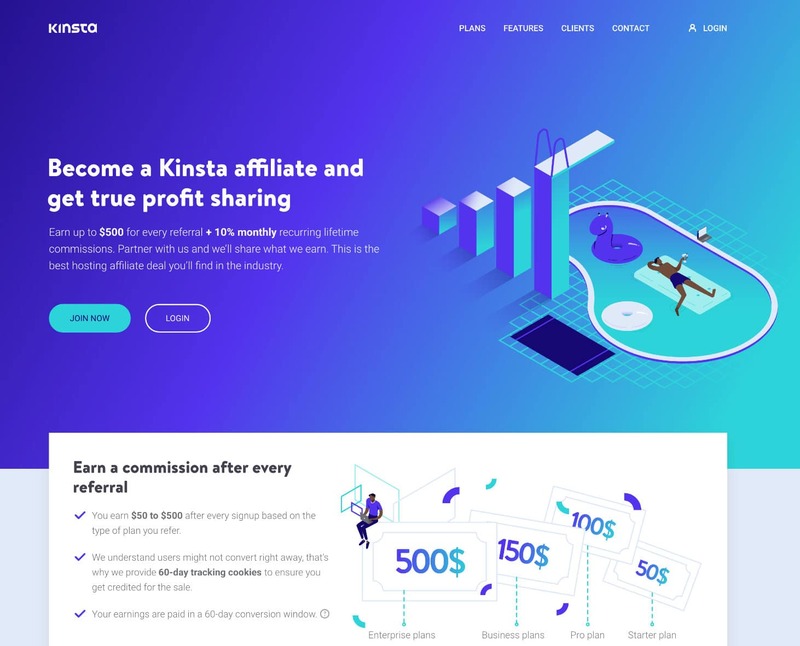 Take Kinsta’s refund policy for example. We try to keep it short, simple, and to the point. We want customers to know that we stand behind our service and there are no long-term contracts involved. OK, how do you apply this to your return policies? The shorter your return or refund policy, the better. Look at Lands’ End for proof. The quicker your returns, the happier your customers. Check out Chubbies’s results. Be flexible: the more options consumers have for returns, the better an option your business becomes. Make it reader-friendly. If it reads like a dissertation on microeconomics, toss it. 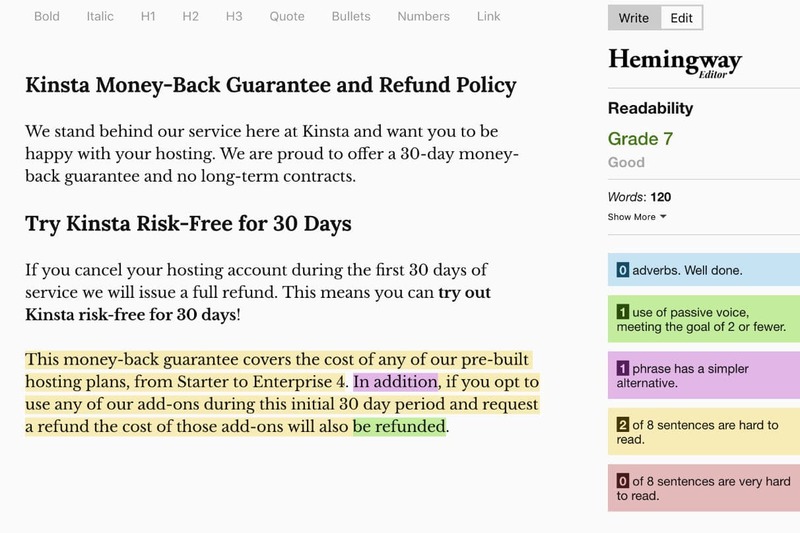 Use apps like Hemingway Editor to check your readability level. Your return and refund policy will most likely be seen by thousands of customers, so never forget to proofread it. It’s that easy. But our next customer retention strategy is even easier. Want to keep your customers? Respond and react to them. 70% of top customer experience deliverers use feedback. Providing great customer experience by listening to feedback doesn’t just make your customers happier. It also makes them less like to churn. Terminix used customer feedback to recover lost revenue to the sum of $20,000,000 and reduce their turnover rate by 33%. Along with leagues of others who’ve discovered the power of feedback, Terminix knows that it’s not just about responding to customer feedback. You have to react to it, too. 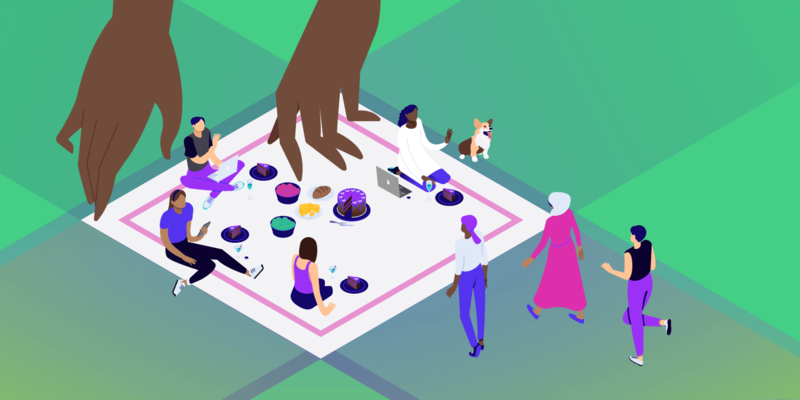 That’s why we did more than just give Kinsta a fresh new look: we heard our customers say they wanted more entry-level plans, so we delivered. Users also asked for multi-user permissions and roles, and so we’ve now built that into our MyKinsta dashboard. In fact, if you look at Kinsta’s feature updates, almost everything we release is based on user feedback. Our hosting platform wouldn’t be the same without it. In addition to lowering churn rate, using feedback to tailor the customer’s experience can also help increase their spending power. Check this out. 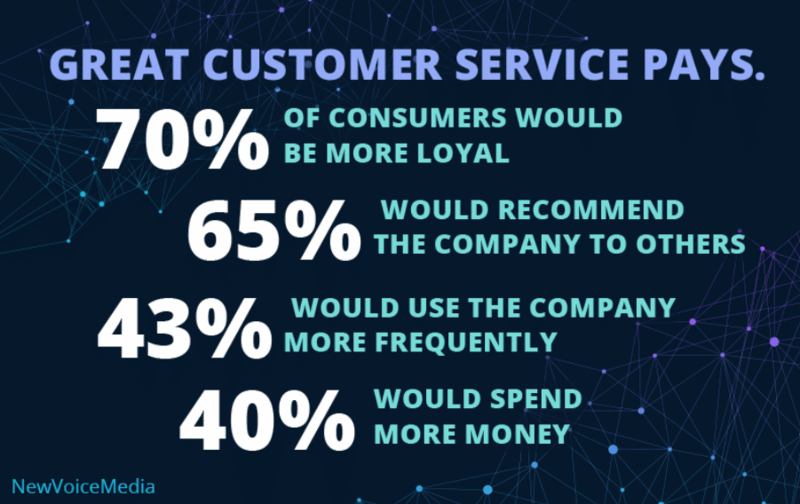 70% of consumers are more loyal to great customer service, and 40% say they would spend more money as the result of that service. But if you need more proof, consider the story of Greats. This shoe company built a repurchase rate of as much as 50% through listening and responding to customer feedback. You can see their team in action. We are so sorry to hear that – it shouldn't take so long. Can you please email info@greatsbrand.com with your details and someone will look into your order. Thank you! As well as responding to feedback and providing stellar service on social channels, they also rolled out surveys early-on so they could get to the heart of their business-to-consumer relationship. It’s a simple philosophy, but it’s a powerful one. And, it’s one you can easily replicate. Think getting feedback from your customers is hard? It’s actually really easy, as long as you make it convenient for your customers to provide. 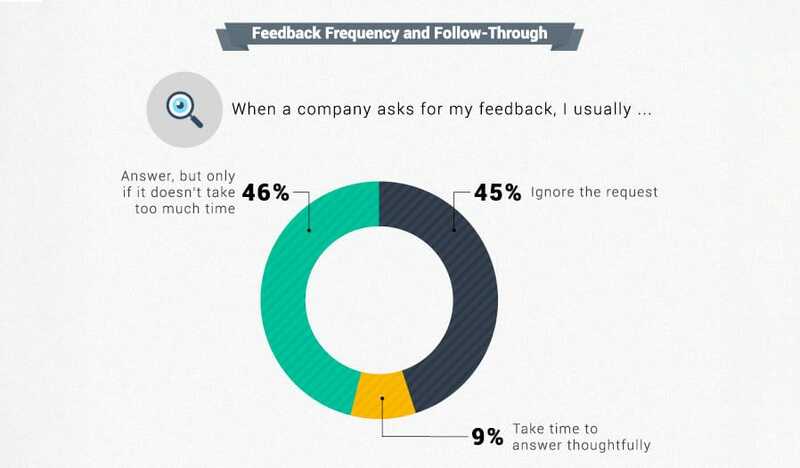 46% will leave feedback if solicited as long as it’s convenient. 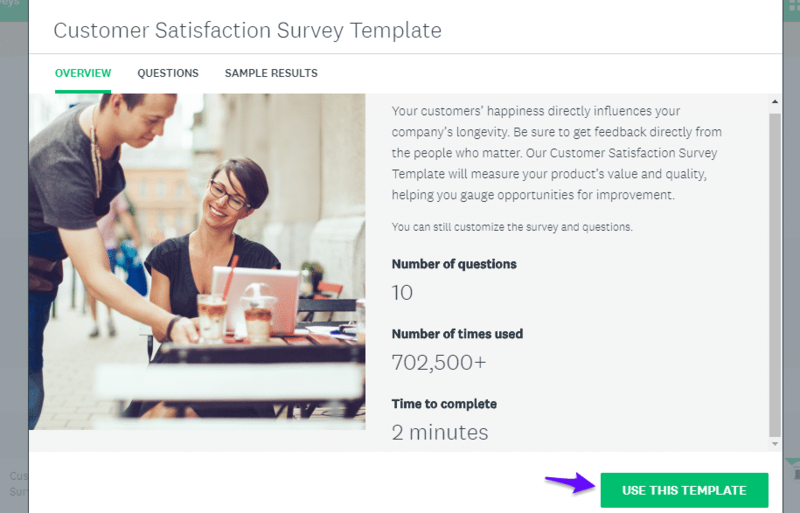 Plus, with tons of free platforms available, it’s easy to create your survey to start bringing in customer feedback. Let’s check out one of these platforms now. First, head over to SurveyMonkey. Click the green “Sign Up Free” button. You’ll be asked to fill out some information about how you want to use SurveyMonkey. For now, skip those steps to get to your dashboard. Click the “Create Survey” button in the middle of the screen. This is what your default view will look like: it’s already loaded with easy questions to find out how likely customers are to recommend your business to a friend and their overall satisfaction. Select “Recommended Questions” to get a look at other questions typically used on this survey. By the way, if you want to edit or duplicate a question, hover your mouse over the question, and you’ll see these options pop-up. OK, once you’re all set with your questions, hit the “next” button up at the top right of your survey to get to the review screen. Since this survey is their template, it’s pretty much perfect. You’ll see your results on the right-hand side of the screen along with helpful information about projected completion rate (how many users will finish your survey completely) and the time it takes to complete. Given that we’re more likely to get feedback if our survey is convenient and quick, a two-minute timeline is great. After you’ve finished reviewing and made any changes, hit “next” one more time to figure out your response collection method. 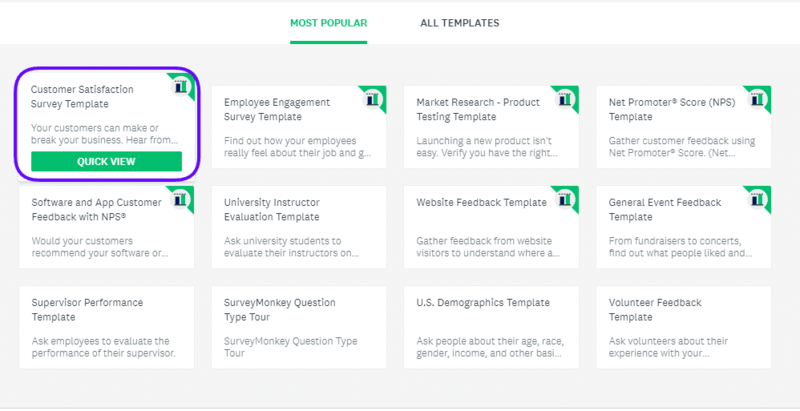 SurveyMonkey gives you lots of options: you can send it via email to your previous customers, post it on your social media, or even embed it on your website. After you send your survey out, remember our cardinal rule. Don’t just get feedback: act on feedback. Your churn rate will go down, and your customers will be happier. Next, let’s look at a surprisingly easy way to boost your customer retention rate and cut down on your data entry. Customer relationship management (CRM) software isn’t just for managing your leads, it’s also an excellent resource for keeping your customers satisfied and reducing turnover. According to data from IBM, 74% of businesses improve customer relationships through the use of a CRM. And that’s not all. CRMs are also linked to increasing customer retention rate by as much as 27%. What makes CRM great for customer retention is the same thing that makes feedback great for it: because it helps you provide better customer experience. 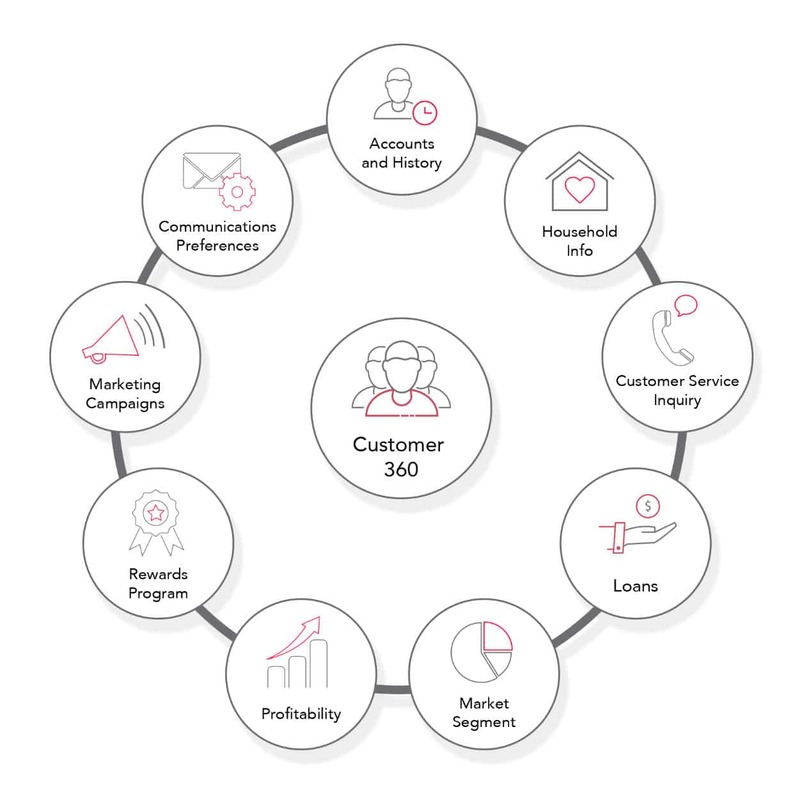 Specifically, it gives you a 360-degree view of customer information, past and present. Not every inactive customer will re-engage, but if we follow the 80/20 rule, also known as the Pareto principle, the ones that do respond? Those will hit your bottom line. 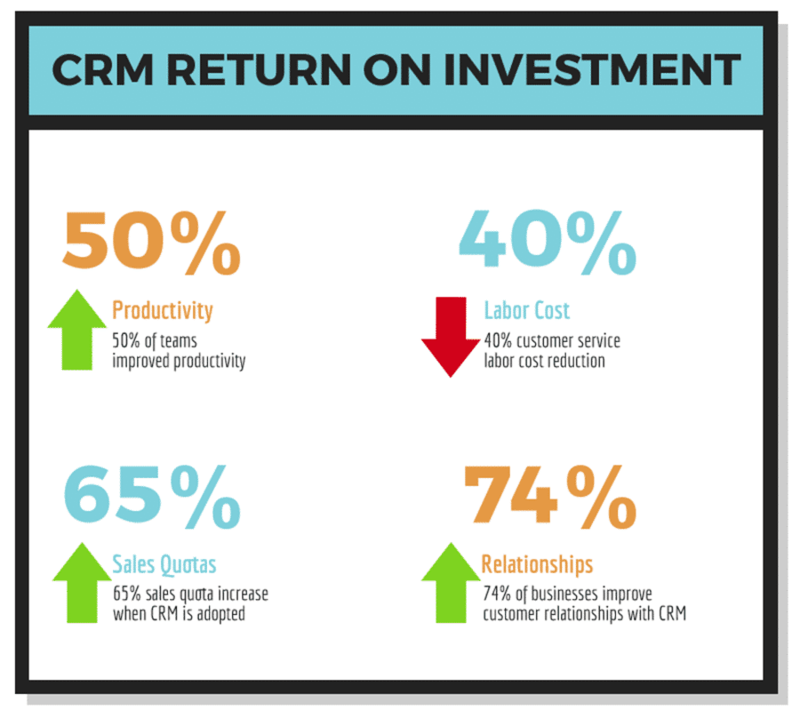 Let’s take a look at how using CRM software has helped improve retention. Freshly, a meal delivery provider similar to HelloFresh, turned to automated CRM to manage their booming consumer base and saw some phenomenal results. The customer lifetime value increased by 19% and their monthly churn rate went down by 22%. Good Salon Guide turned to Workbooks CRM, an automated CRM suite, to support its distributed sales team. The results? Happier customers. Stronger sales. Better retention. I genuinely believe this will lead to both a growth in new business and improvement in customer retention. Here’s the best news: although you can find a number of premium CRM options, like SalesForce, Insightly, and Pipedrive, there are a ton of great, free opportunities that offer just as much functionality. Let’s take a quick rundown of them now. Offering up to 1,000,000 contacts, an unlimited number of users, and self-hosting capable, HubSpot kicks off our list of free CRM suites that can transform your customer relationships. Cloud-based and email marketing ready, Capsule can support up to 250 contacts and two users, making it ideal for smaller organizations. 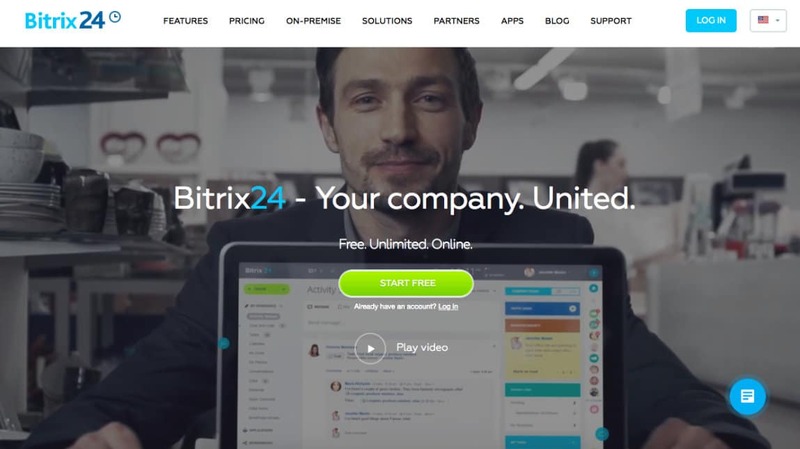 Rounding out our list, Bitrix24 supports an unlimited number of contacts, is cloud-based, and supports self-hosting. And it’s free for up to three users with five gigabytes of storage. Alternatively, if you use a WordPress site and aren’t ready to commit to third-party CRM suite, you can also integrate a number of CRM plugins directly into your site. 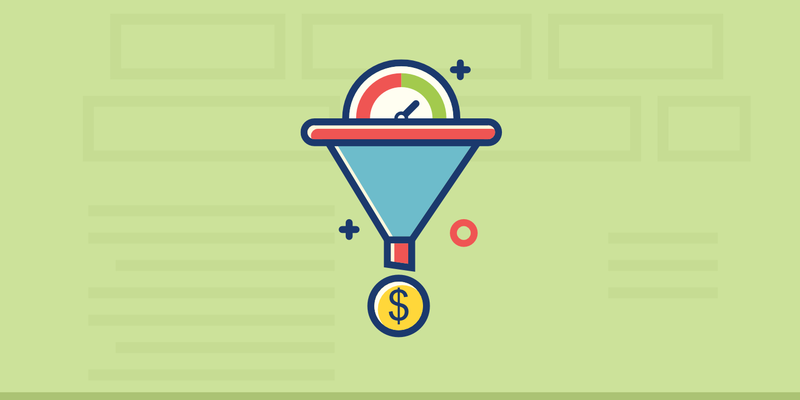 Many of these can turn your WordPress site into a fully functional CRM behind the scenes. In either case, automating your CRM is a no-brainer if you’re trying to reduce customer churn. Up next, let’s check out your secret weapon for keeping your loyal customers happy: an awesome rewards program. Customers who take part in a loyalty program generate anywhere from 12% to 18% more revenue than customers who aren’t enrolled. But loyalty and reward programs are more than just about encouraging higher spending. They’re also about showing your customers they’re appreciated. And that means keeping them. 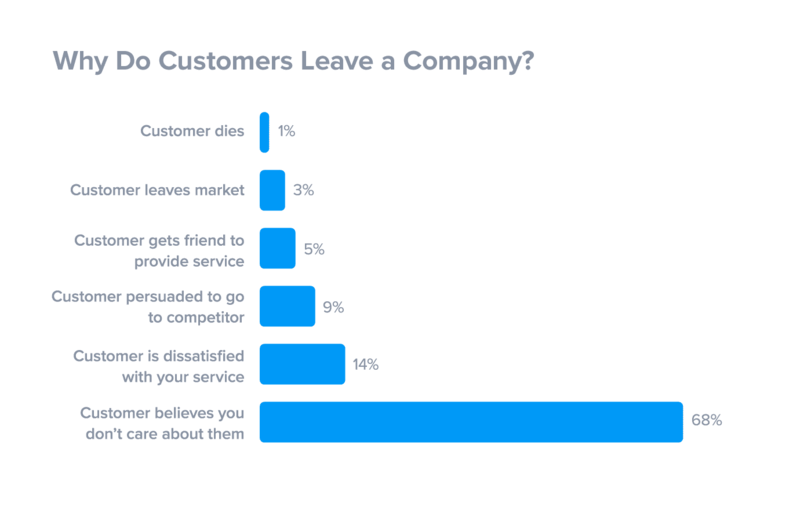 68% of consumers cite leaving a business because they felt the company didn’t care about them. Furthermore, 69% of consumers say that their choice of retailer is influenced by whether or not they can enroll in a loyalty or rewards program. Here’s one more stat: 54% of customers will consider dropping your business if they aren’t provided with engaging content and relevant coupons. So, all in all, a great rewards program will attract customers and help you keep them with you. 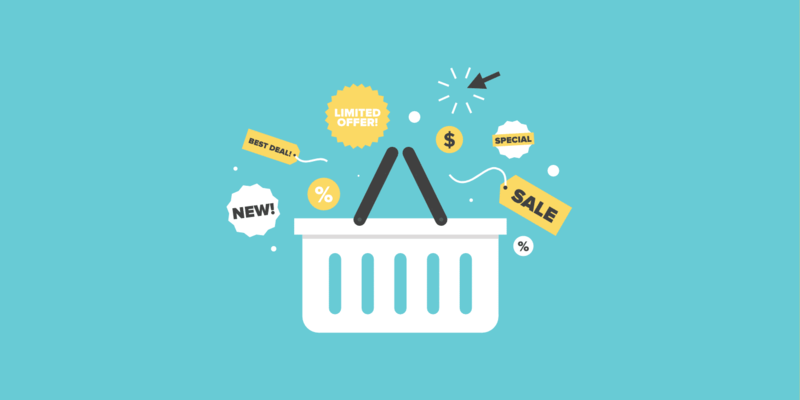 Let’s look at some examples of rewards programs that crush it. 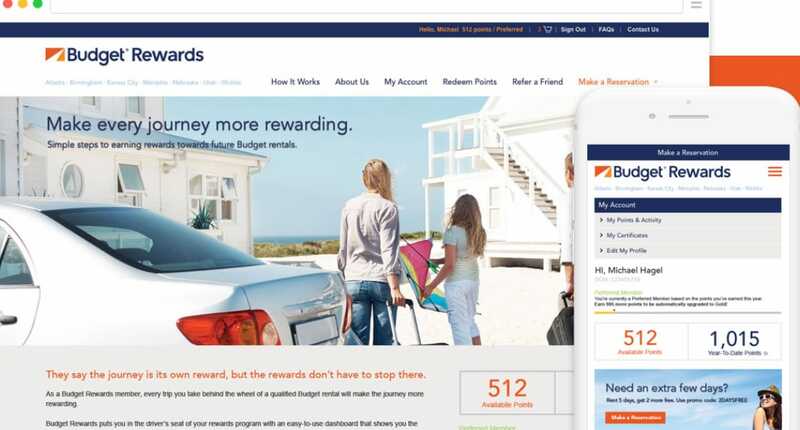 Budget, the car rental company, has increased their sales and seen a significant uptick in sign-ups and point redemptions (repeat purchases) thanks to their rewards program. How did they make their rewards program so successful? In addition to a serious redesign, they used interviews and customer data to get at the heart of what people wanted out of a loyalty program. 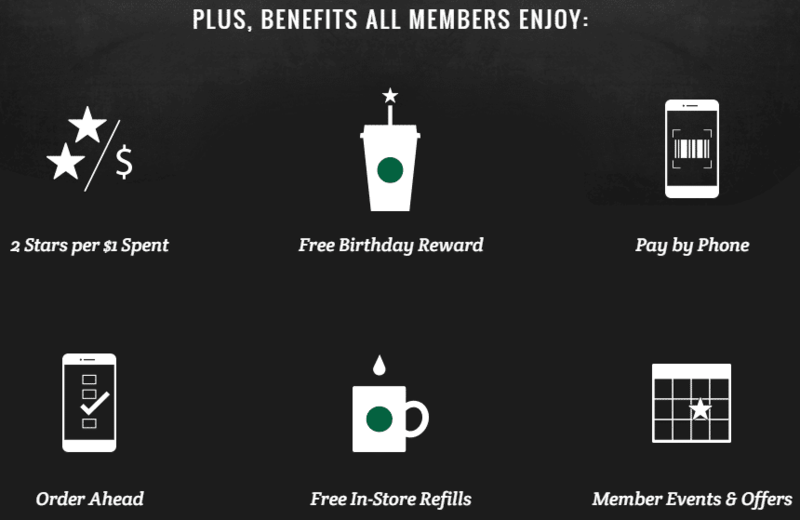 Offering free birthday rewards and exclusive events, the Starbucks program is customer-driven from start to finish, providing both care and convenience. It’s also available to any smart-phone owner, allowing users to order their favorite frappuccino from the palm of their hand. It even takes it a step further by providing some of the most essential elements of a loyalty program, including loyalty currency, enhanced customer service, mobile coupons, and the ability to earn a special status. 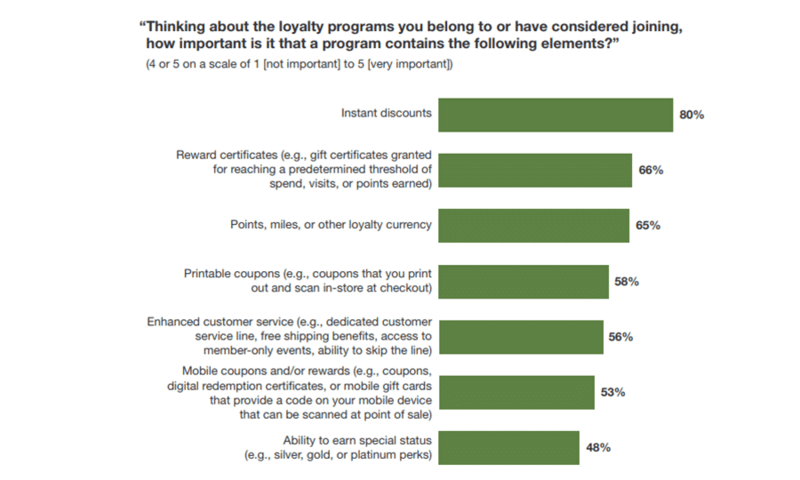 All of which half or more of consumers rank as important for a loyalty program to have. Just as we learned in the first section, anything that reduces friction and lowers customer effort is an absolute must for a great rewards program. The rest is just about making it compelling, repeatable, exclusive, and mutually beneficial. Keep these pillars in mind, and you’ll have a killer rewards program on your hands and in your customers’ wallets in no time. Don’t have the ability to do a rewards program? Depending on the type of business you have an affiliate program might work better. This is what we’ve done at Kinsta. We even built our entire affiliate system and dashboard from scratch! We offer affiliates $500 for every referral and 10% monthly recurring lifetime commissions. This brings us to our final tip, but it’s our most important one. If you want to keep your customers, do more than give them great service. Give them an experience that’s well above the competition. All of the last four tips have been building into one big aspect: the customers’ experience with your brand and business. If any pillar sticks with you, let it be this last one: your customer experience (CX) is your foundation for customer retention. 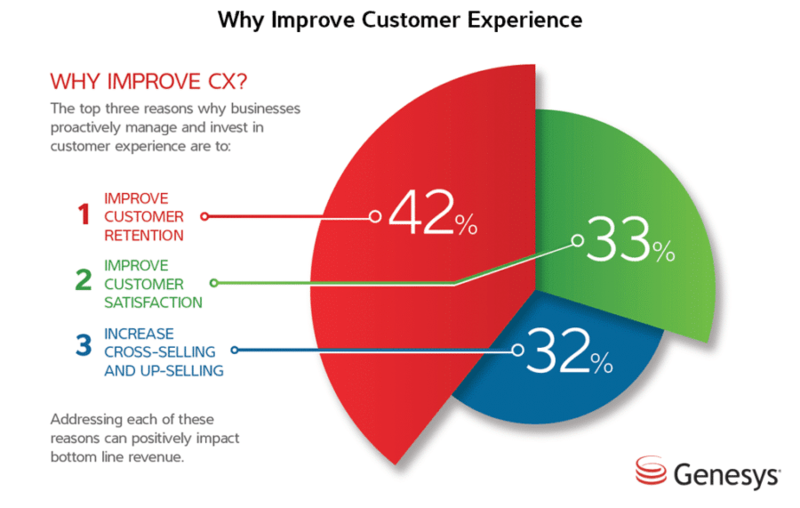 Improving customer retention is why 42% of businesses invest in customer experience. Go beyond just providing great service. 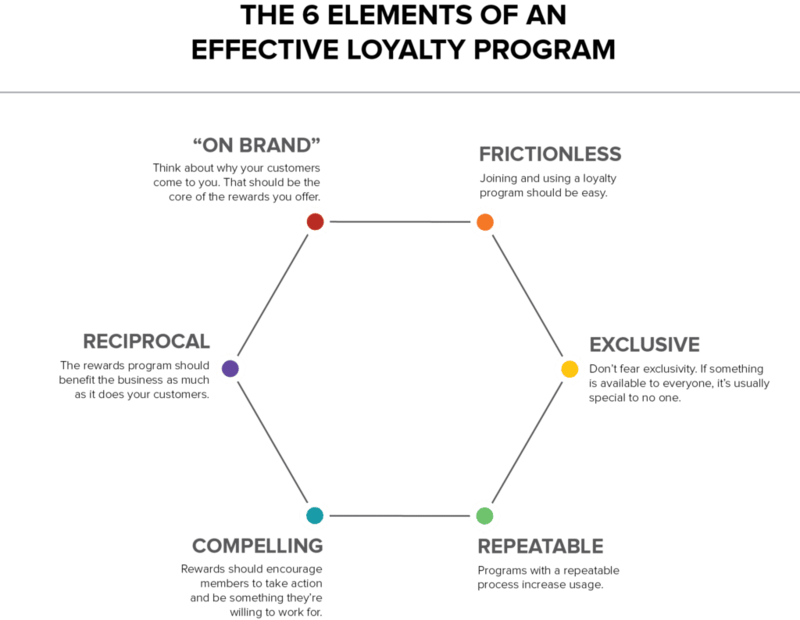 Create a great experience that fosters a real, human connection between your consumers and you. You’ll have to in order to keep your customers. By the year 2020, CX is expected to stand out as the differentiator between brands, not price or product. What’s more, 66% of people say they’re likely to change brands entirely if they’re treated like a data entry line and not a human. So, the stakes are high. But here’s the saving grace: you can elevate your customers’ experience (and thereby keep their loyalty) without spending a lot of dough. 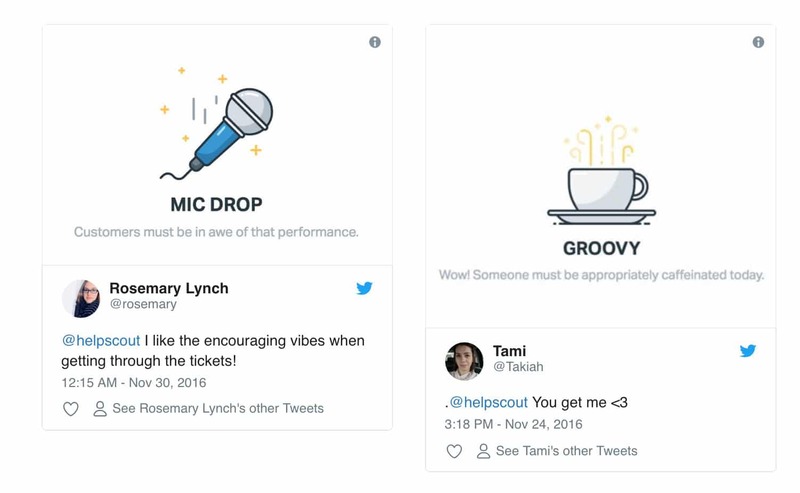 These little touches don’t cost much to add, but they create a sense of camaraderie and elevate the overall experience for users. 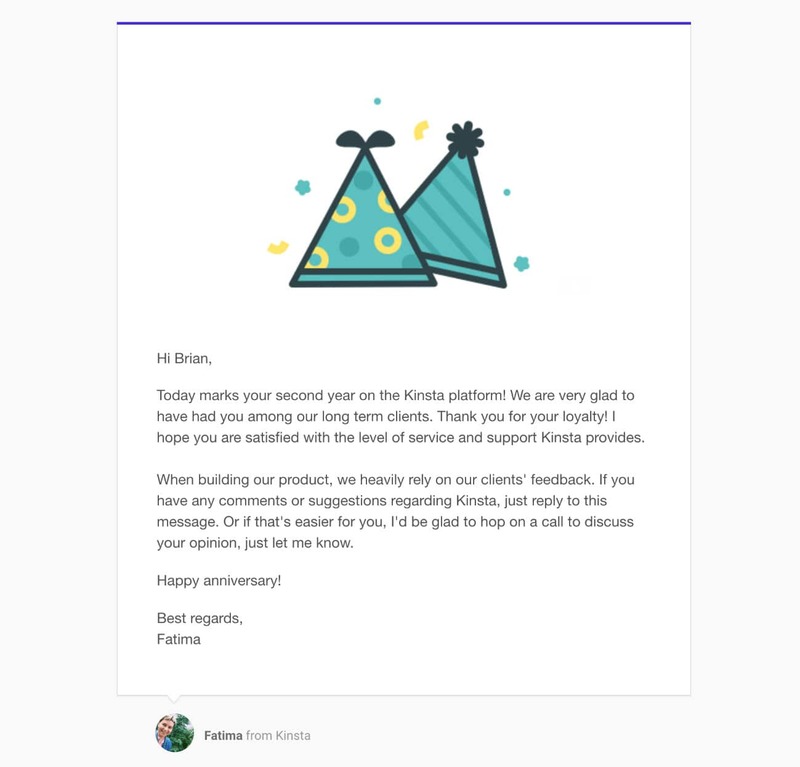 At Kinsta we send out anniversary messages to all of our clients. While this is small, it helps remind clients that we appreciate them. There are tons of examples of companies that have discovered a little can go a long way. MailChimp has a similar approach. Although this interaction is barely two seconds long and likely only took a designer a few hours to put together, it brings levity and joy to a stressful moment. By doing so, it enhances the customers’ experience. Just look at the reception. Plus, small touches like this have brought in some big rewards for businesses. Hallmark created a simple platform for one-on-one interactions where bank employees could send personalized cards to their customers. 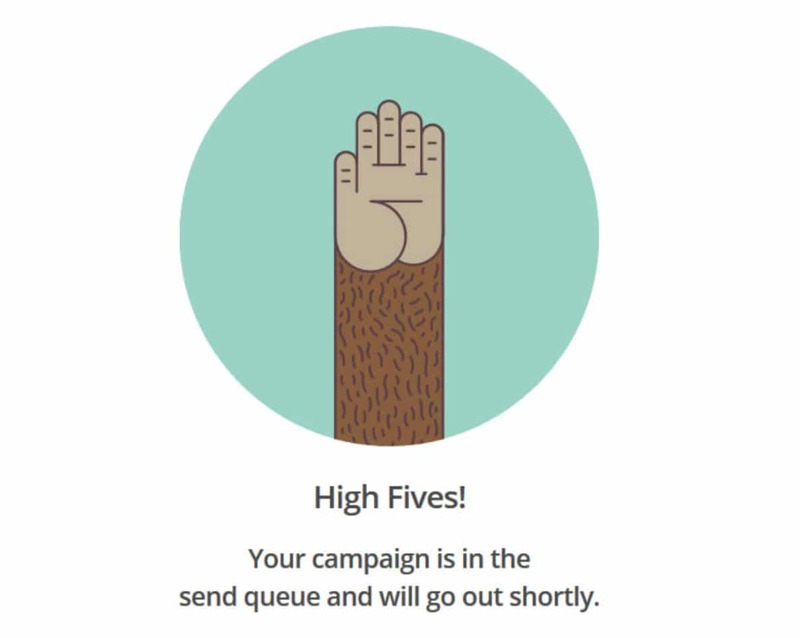 Small and quick like MailChimp’s “high five,” the results were nonetheless astounding. Look at this. As you might recall, reducing churn rate by just 5% can have major results, so increasing loyalty by a whole 10%? That’s huge. They’re not the only ones who’ve used small moments of delight to elevate the customer’s experience – and encourage repeat purchases – either. 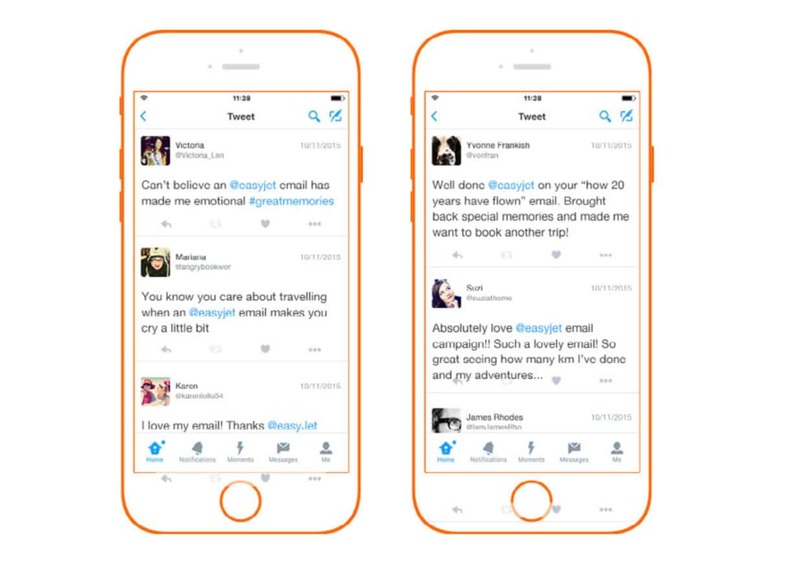 EasyJet turned to this tactic when they sent out nearly 13,000,000 unique emails and provided customers with a snapshot of their previous travels. The reception was overwhelming. But they didn’t just warm their customers’ hearts. They also saw a huge increase in sales and total retention. Across all markets, 7.5% of those who received a unique email booked another trip within the following 30 days. Webinars are another easy way to elevate your long-term customers’ experience. These help your customers stay engaged with your product and excited about using it. 31% of all webinars are aimed at improving the onboarding process and increasing customer retention. 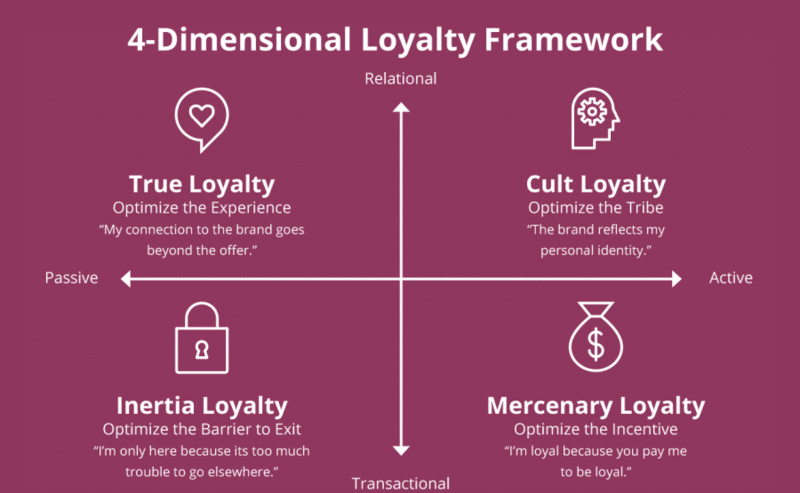 By optimizing the customer experience with webinars, you can cultivate a sense of “true loyalty” from your customers, creating a relationship which goes beyond just your product. Basically, anything that can spark your customers’ commitment to your product is a strong subject for a webinar. Here’s what it boils down to. Customer experience is your ultimate bedrock for customer retention. So, elevate it. But don’t think that means you have to sink massive money into it. You could embed a quick quiz on your WordPress site – who doesn’t want to know what kind of cheeseburger they are? Alternatively, personalized emails, cards, or just thoughtful moments of reassurance can go a long way, too. Create moments of delight for your customers’ experience, and they’ll reward you by staying your customers. If customer retention isn’t one of your key goals, it should be. It’s cheaper than acquiring new customers and probably a lot easier than you realize. One way to improve customer retention is by rocking out your return or refund policy. Make it quick, flexible, and readable. Another important tactic is reacting to customer feedback. Just responding isn’t enough: if you want to reduce your churn rate, put that feedback in action and keep your customers happy. This one might surprise you: automating your CRM can improve your customer retention rate as much as 27%. And, best of all, there are a ton of free, fully-featured CRM suites out there. Reward your customers – literally. Creating a great rewards program helps retain customers and increases their average spend by as much as 18%. Finally, and most importantly, if you want to keep customers coming back, elevate their experience. Take it further than providing great customer service and create moments of delight for your customers. While some customer churn is natural, follow these five tips to control the tide and keep your favorite people – your loyal customers – where they belong: With you. Got any more great customer retention tips? We would love to hear them below in the comments. 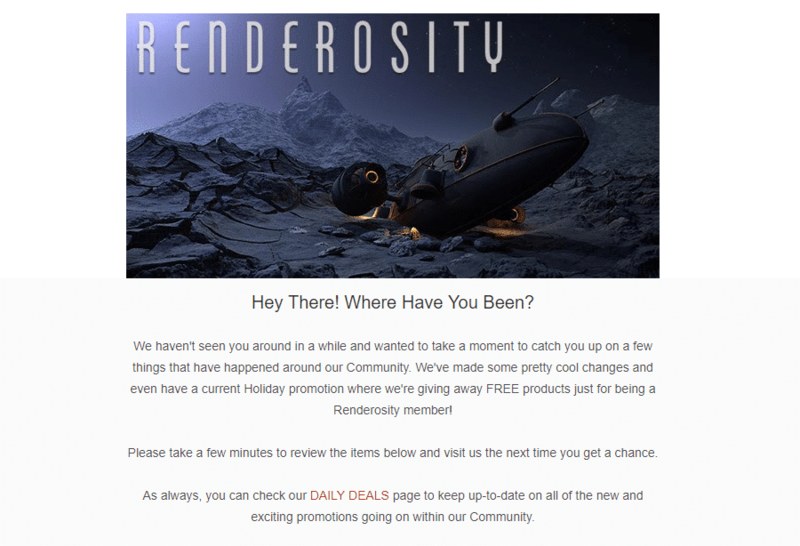 A warning: Just because a company’s website states a return policy doesn’t mean they will honor it. 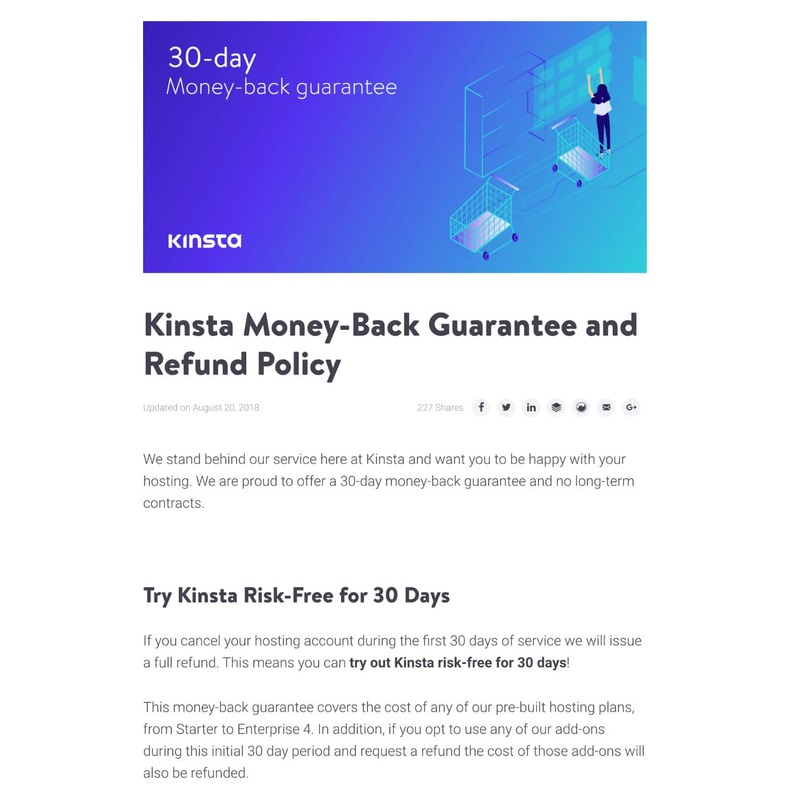 There are sellers (even right in the WordPress Plugin Repository) who advertise a 100% guaranteed, no-questions-asked return policy in large type, with a big “GUARANTEED” graphic ‘seal’, but then when asked for a refund, refuse outright. Be careful! That’s a good tip Patty! It’s sad to see a company not honor their refund policy. A lot of times this can create a bad reputation and in the long run and hurt the company more than if they had simply issued the refund. Good advice man. I think keeping long-term customers is how to win in the hosting & any other business. You are right 5x cheaper to keep & 40% of revenue, I agree with you on that! Hope you’re doing well man.